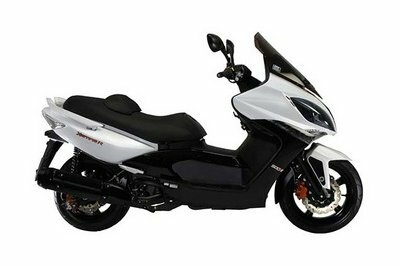 The Super 8 in both the 50 cc and 150 cc models have been around for a bit, and while some folks discount KYMCO as a serious manufacturer, it’s worth a look. KYMCO maintains a prominent presence in the Grand National Cross Country Series, a grueling off-road racing circuit that hosts long courses over a variety of rugged terrains, and serves as a sort of trial-by-fire for both rider and machine. If that isn’t a testament to quality, I don’t know what is. 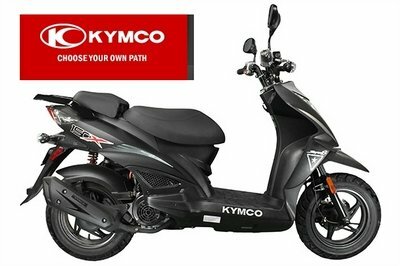 We lost the Super 8 "R" siblings going into last year, but let’s take a look and see how well KYMCO’s race prowess transitions to the scooter sector with its 2018 Super 8 “X” model duo. 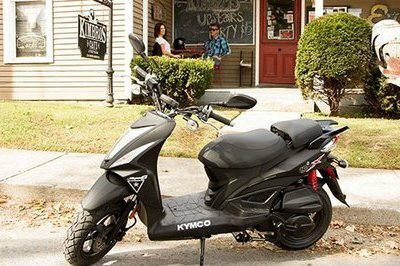 Continue reading for more information on the KYMCO Super 8. 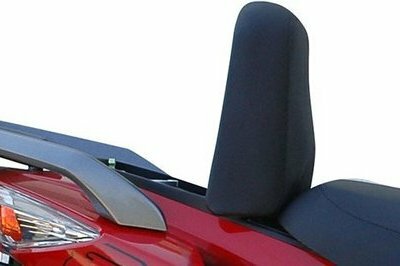 Kymco gets an interesting concept for its scooter dashboards. The Kwang Yang Motor Co. has been around for a while now. 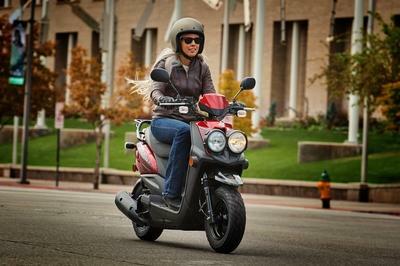 If you wonder why you don’t recognize it as one of the “old guard” of scooter production, that’s because it didn’t market under its own name until 1992, but in fact the company started out in 1963 as a parts manufacturer for Honda. 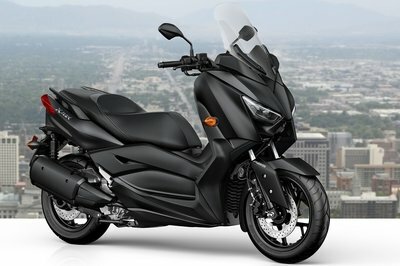 So, don’t discount KYMCO as just another Johnny-come-lately scooter factory, ’cause it is anything but. The first thing that struck me as I initially regarded the Super 8 was how compact the overall unit looked. 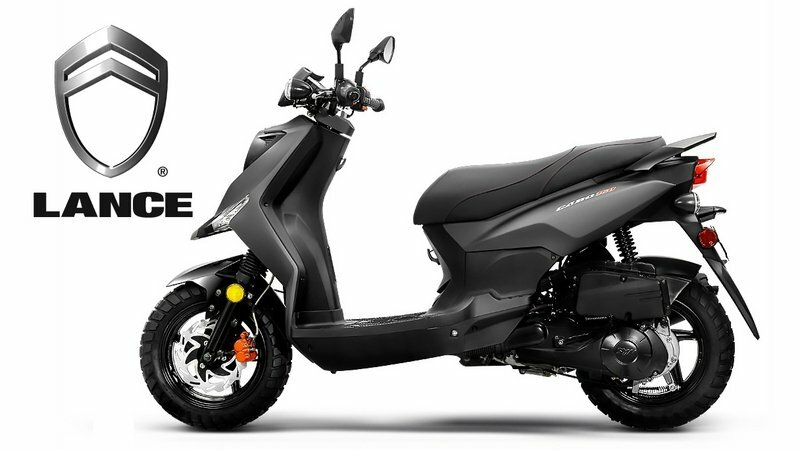 While it is a rather small scooter with only 52 inches between axles, the minimal front end and leg fairing leave it with a decidedly naked-bike panache. The reduced fairing and lack of windshield may leave the rider a bit more exposed than usual, but it also makes for low windage and a more direct feeling of wind in your teeth. A lockable, under-seat storage compartment gives way to a full step-through and a relatively narrow deck — not much room for ’tween-the-feet cargo on this ride. 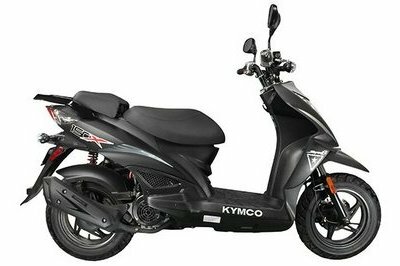 Normally I would consider that a detriment, but KYMCO is billing this ride as a sort of on-road / off-road vehicle, so it necessarily needs a slimmer and sportier overall design. One of the details I really like on the Super 8 is the pillion seat that folds up to act as a rider backrest when riding solo, a built-in comfort feature that many bike owners have to go to the accessory catalog, or even the aftermarket, to enjoy. Unfortunately, the lack of forward protection for the rider means that this backrest is about the only creature comfort you can expect, but let’s be honest, if you were that invested in creature comforts, you’d be looking at something other than a compact scooter, yeah? Now we come to the main difference between the “X” and the “R” versions of the Super 8: the tires. While the “X” models come with dual-purpose tires — street knobbies, if you will — that boast deep grooves for soft surfaces with nice, wide flats for street work; the “R” models come with straight-up street tires for carving the urban jungle, rather than the wilderness proper. KYMCO dropped the "R" going into 2017, so it’s knobbies or the aftermarket for 2018. Regardless of design, the 12-inch tires come wrapped around cast wheels. A twin-piston caliper binds the wave-cut, front brake disc, and a typical drum brake slows the rear wheel. The brakes are unsophisticated, and come without any sort of linking or ABS protection – all the better for shenanigannery, says I. Given that the Super 8 50s weigh only 210.5 pounds, and the 150s weigh a skosh more at 235.8 pounds, this should be plenty of brakeage to keep things under control. Hydraulic front forks float the front end, and an offset, coil-over monoshock supports the rear off the swing-mount drive unit. KYMCO doesn’t post up any suspension travel numbers, nor do they offer any adjustments to the ride, so I am unable to evaluate the potential off-road performance. I can, however, state unequivocally that it is what it is. The next obvious division within the Super 8 range involves the drivetrain. A 49 cc engine propels the 50X and 50R models, and a 151 cc plant drives the 150X and 150R. Both engines are four strokes, and run a single over-head cam with forced-air cooling to manage the waste heat. This simplicity carries over to the induction, with a good, old-fashioned carburetor to manage the fuel-air mix. Power output is about what you would expect, with the 50 turning out 1.9 horsepower and 3.0 pound-feet of torque, and the 150 producing 10.3 ponies and 7.8 pound-feet of torque. Mileage is a tad low on the 50s at 72 mpg, and even lower on the 150s at 57 mpg — not exactly around the world on three tablespoons of gas kind of numbers, but sufficient for short trips around town. One feature that I really like is the kickstarter on both engines. I’ve been stranded once or twice because of charging problems, and I would have given my eye-teeth for a kicker. So naturally, I am always glad to see this as standard equipment. In 2016, the "R"s came in a choice of red or white and the "X"s were available in Urban Camo or black. For 2017 and 2018, you can get the 50s and 150s in matte black and yellow. The 50X saw a price drop last year and rolls for $1,799. As you might expect, the 150-powered ride costs a bit more, but not much. The 150X can be yours for $2,099. The Cabo comes with dual-purpose tires much like the Super 8 family, making it suitable for a variety of surfaces. 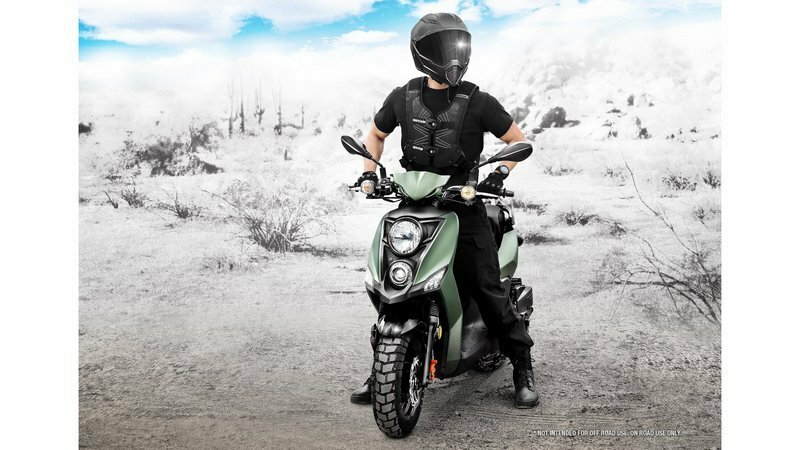 Beyond that, both scoots follow a rather Spartan design with minimal weather protection for the rider, and you can consider them to be equally narrow and compact. The Super 8 garners a slight edge in seat design because of the flip-up rider backrest, a feature Lance declines to include. 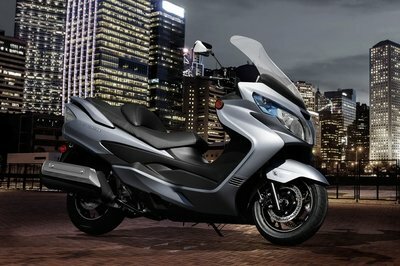 Performance numbers reveal another advantage with the smaller KYMCO engine: more torque. The Lance 50 produces 1.9 horsepower and 1.58 pound-feet of torque versus 1.9 ponies with three whole pound-feet of torque from the KYMCO 50. Numbers on the 150 are much closer with 10.3 ponies and 7.8 pound-feet of torque from the KYMCO, and 10.3 ponies and 7.96 pounds of grunt from the Lance. For me, the most telling detail in the engine category deals with fuel economy. While the Super 8 engines get 72 mpg and 57 mpg from the 50 and 150, respectively, the Cabos break the 100 mpg mark with 117 mpg from the 50 and 87 mpg from the 150; a marked difference. Pricewise, the similarities continue. On both tiers, the prices are too close to call, so you’ll have to decide what feature is more important and go with that because the winner won’t be decided at the check-out counter. My wife and fellow writer, Allyn Hinton, says, "I disagree with my husband on a very minor point. While you might not do any Supercross-type jackassery on a Super 8, I saw a guy do some pretty impressive flat-track maneuvers on a 150 cc scooter with off-road tires and it looked like a lot of fun. The on-road/off-road capabilities are attractive to me, living out in a rural area as we do. Sometimes the shortest distance from here to there isn’t a paved road." See our review of the Lance Cabo.